When it comes to wedding, people automatically think of a large event with a number of guests attending, plenty of food and beautiful settings. Whereas this is a widely used practice, it does not necessarily mean that it is the only way to commemorate this big day. Some people prefer to arrange small events that normally gather around 10-15 persons only. It might just sound to you to be a non-sense; however, there are certain advantages of it – which are going to be discussed below. Scroll down to find out all pros and cons of either throwing a huge party or opting for a more modest celebration. 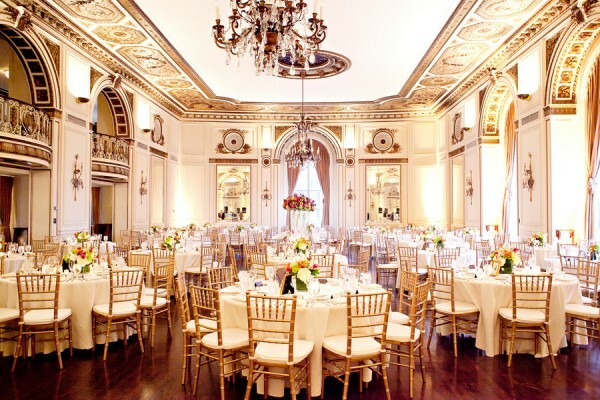 Let us start with the pros: what makes a grandiose wedding reception a must-have of any marriage? First of all, it is some sort of a tradition that people arrange large celebrations to recognize entering this new phase of life. There are plenty of resources that specialize on it: from a team of professional advisors to a thousand of online platforms.If something is in demand, then we are likely to have a million of offers. So if you feel like following this common way to commemorate your big day, then the world is your oyster. With the help of such a wide range of assistants it should not be a huge problem at all. A large celebration will create some wonderful moments in your memories, so it is definitely worth going for it. Just imagine how strong and bright these memories will stay throughout the years, if you carry them in photo albums. So if you do opt for a large event, make sure that you hire a highly qualified photographer who will be able to capture the best moments of your reception. Besides, these albums will have a lot to tell to your descendants, so if you feel like keeping the history of your family on record, this is a great way to do so. Such an event is also a good reason for a family or friends reunion. If you have not seen your relatives for a while, this would be the best place and time for them to come and visit you. As experience shows, such gatherings turn out to be a great success, as people normally enjoy communication and interaction with the closest ones. Although grandiose wedding receptions require large financial inputs, you are also likely to receive some kind of reimbursement. That is, one is to expect plenty of gifts, as the number of guests is going to be quite high. This is a significant advantage for those of you who love unwrapping embellished boxes, reading cards and simply receiving a lot of presents at once. Now it is about a moderate wedding celebrationthat we will focus on. Such a small event is good for those cases when your budget is very tight, or else you would rather spend this enormous amount of money for something more valuable. For instance, a honeymoon somewhere at the Maldives would certainly add to your wedding memories a lot. Also, you can easily purchase something significant and functional instead of throwing a luxurious party. Moreover, with such a small-scale celebration, you won’t need to prepare that much. Just reserve a table in your favorite restaurant and decide on the menu (which is also a debatable aspect, as your guests can easily order meal on their own). As for the outfit, here the whole process becomes even easier – pick a beautiful dress in any color and design and rock it along with a saucy pair of shoes. Make-up, hair style and accessories all depend on your personal taste and if you do not feel like resorting to services of professional stylists, feel free to manage it yourself. Another advantage of a moderate wedding dinner is that you can dedicate a huge amount of efforts to an engaging and significant other than a wedding preparation. For instance, if you are planning to move in with your husband-to-be to a new place, you have an opportunity to fully focus on the design and interior of your new home. And since this is quite an effortful and nerve-racking process in the first place, I can guarantee that you will be more than thankful for not being engaged in the regular pre-wedding errands and chores. These were the key factors to take into consideration when you deciding between a large wedding reception and a small celebration. Both ways have their positive and negative sides and it is purely up to you and your beloved on which one to go for.